Community Service Bunyan Bryant, Ph.D.
7/7/95Disproportionate Impacts of Environmental Pollutants. Seminar for the Washtenaw County Environmental Internship Program. Environmental Coordinator Office/ECO. 1994-present University of Michigan Senate Assembly. 7/15/94 Disproportionate Impacts of Environmental Pollutants. Seminar for the Washtenaw County Environmental Internship Program. Environmental Coordinator Office/ECO. 1989-90 Chair of the Minority Research Forum. 1990-92 Co-Chair and coordinator of the University-wide Martin Luther King Day Activities. 1995-present The President's Council on Sustainable Development Public Linkage Dialogue and Education Task Force. 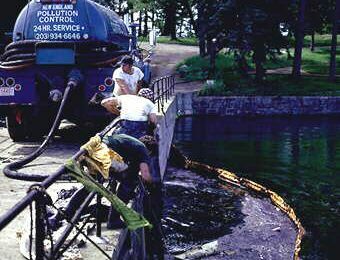 1995-present NAACP/Ecology Center Pollution Prevention Project. Advisory Committee. 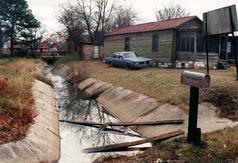 1994-95 United States Environmental Protection Agency National Environmental Justice Advisory Council. 1995 Charter Member of the Board of Directors of the Global Rivers Educational Network. 1995-present Board member of the Center for New Community. An organization of faith-based organizing for a rural/urban initiative to promote genuine social, economic, and political democracy. Consultant and participant at a meeting held at the Heartland Presbyterian in Kansas City, MO. 1995-present National Advisory Board: Student Environmental Action Coalition (SEAC). 1994-present Minority Health Advisory Committee, Michigan State Department of Public Health. 1994-present Project Advisory Committee to increase the involvement of rural African American communities in environmental justice issues. Institute for College Research and Support. Silver Spring, MD. 1994-95 University of Michigan Task Force on Community Service Learning, Ann Arbor, MI. 1994-present National Environmental Justice Advisory Council to USEPA, Washington, D.C.
1994 National Environmental Justice Advisory Council to USEPA. Interim Protocol Committee, Washington, D.C.
1994 National Environmental Justice Advisory Council to USEPA. Interagency Coordination Committee, Washington, D.C.
1993-present University of Michigan Senate Assembly, Ann Arbor, MI. 1992-present Board Member of the League of Conservation Voters, Washington, D.C.
1991 Advisory Board: First National People of Color Environmental Leadership Summit, New York, NY.